Xiaomi Mi Max 3 Rear Design Appears in a Leaked Video; Front Panel Image Has Also Emerged - Playfuldroid! Recently, a new Xiaomi phone with a model number of M1807E8S was certified by 3C certification body in China. It is speculated that it could be the upcoming Mi Max 3 smartphone that is confirmed to get official in July. Today, a leaked video that seems to have been shot during the manufacturing of the Mi Max 3 has appeared on Weibo. The leaked video reveals the rear design of the phone. At the same time, a leaked photo of the front panel of the phone has also surfaced on the Chinese microblogging site. 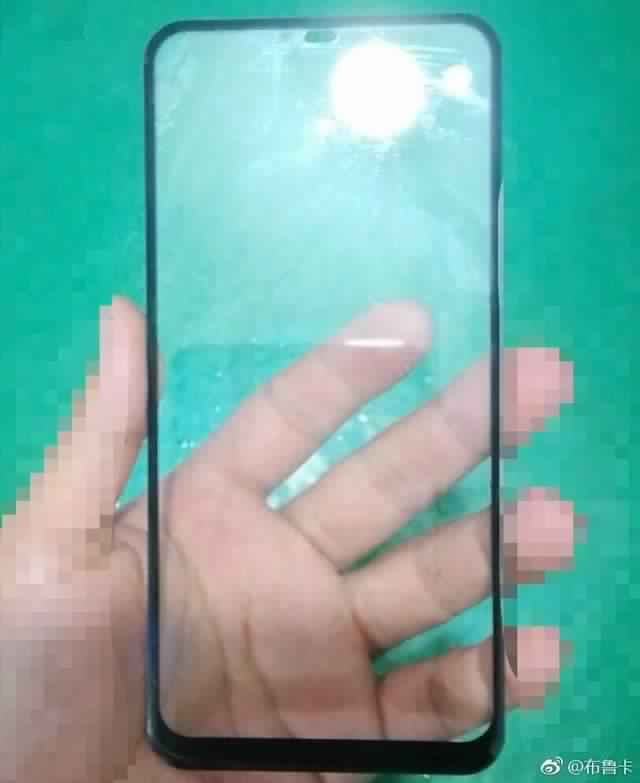 The leaked video shown above shows the design of the metallic back panel of the phone. It shows that it will be arriving with a vertical dual camera setup and a rear-mounted fingerprint reader. This leak corroborates with previous leaks of the Mi Max 3 that have also claimed that the handset will be blessed with a dual camera setup. The leaked image belongs to the alleged Mi Max 3 phone. The phones belonging Mi Max series have always featured gigantic screens. Hence, the same is expected from the upcoming Mi Max 3 smartphone. Some rumors have claimed that it will be equipped with a 6.99-inch display, but there is no evidence available in its support. The above shows that the front panel of the rumored Mi Max 3 has a tri-bezeless design. There is a small cut on the display area at the top, but there is no information available on what it is meant for. The bottom bezel is a slightly thick compared to the side bezel. It is difficult to make out the placement of the selfie camera from the image. We advise our readers to digest this report with a grain of salt as the leaked image and video could be fake.